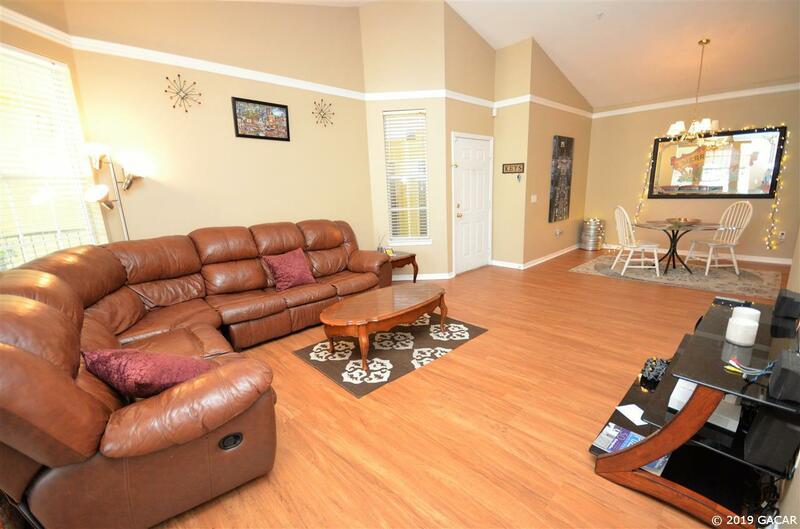 Spacious 3 bed/3 bath condo located in quiet NW Gainesville less than 2 miles from the University of Florida & Shands. 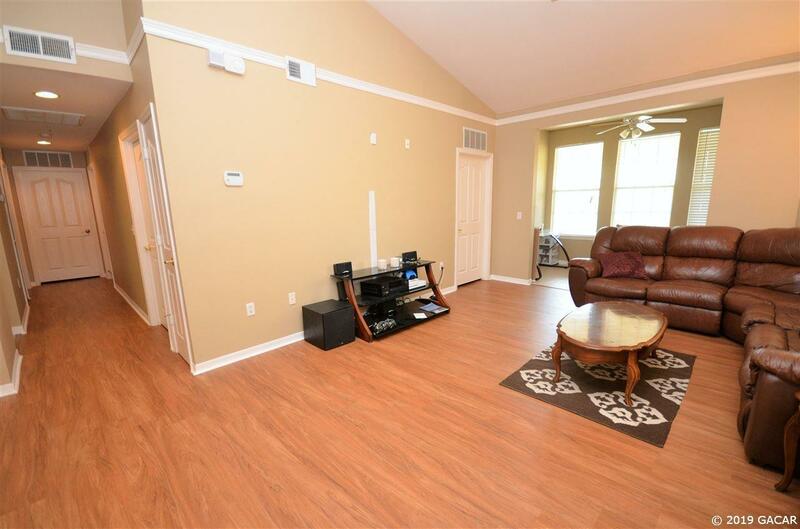 TOP FLOOR corner unit in the only building in the community with an elevator. 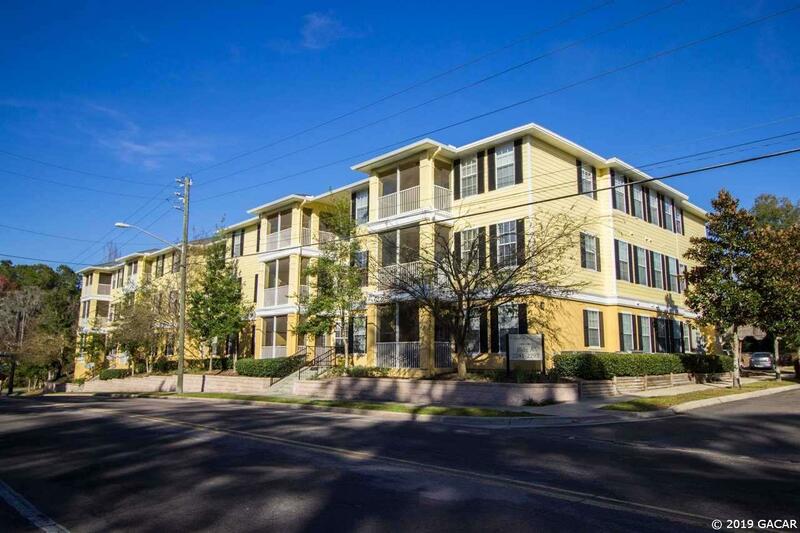 This light and bright condo features an open floor plan with lots of windows, 9 ft. ceilings, large ceramic tile in the common areas, upgraded simulated wood flooring in the bedrooms, upgraded faux wood blinds, crown molding, a dining area, and a sunny solarium/study. Kitchen has light blonde cabinets and nice appliances. Bedrooms all have large walk-in closets and attached full bathrooms. All appliances are included as well as the furniture. Separate large lockable storage closet just outside front door. Tile and durable simulated wood throughout, no need to worry about carpet! 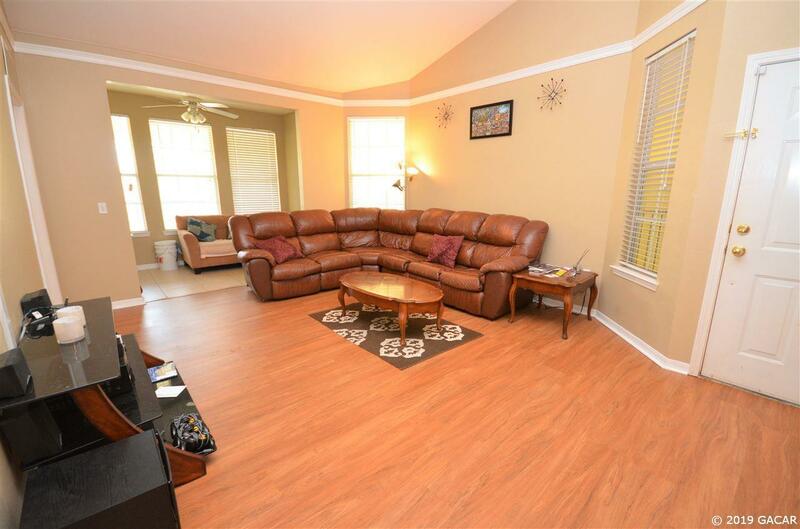 The community has a pool & is walking distance to a direct bus route to UF campus. Priced to sell!